I started the blog (originally located at http://www.shortpunksinlove.blogspot.com) to answer questions people asked me at shows about how we started as a band, how long we had been playing, how long I had been playing, etc. The first few months were devoted to drumming, but as time passed the blog became a place for me to write about my interests outside of drumming. So, you may also read about urban biking, rabbits, and life in Chicago in addition to postings about gigs and drums. 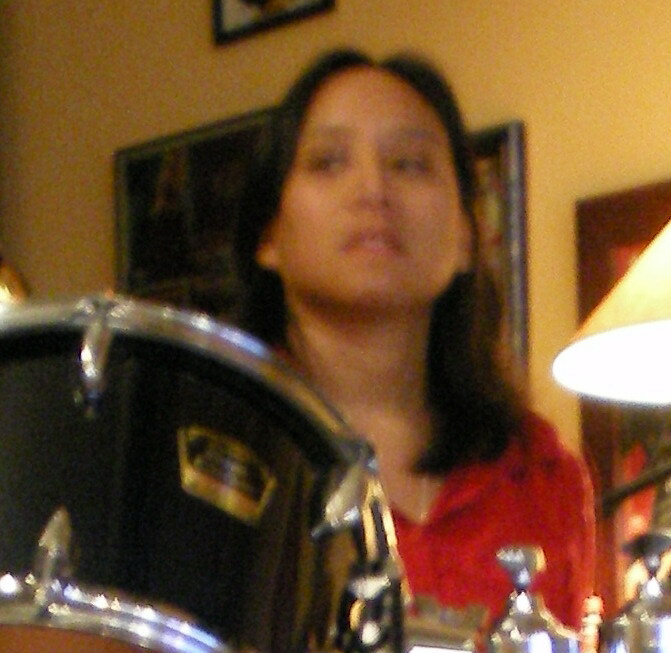 Hi there chick drummer! Its an inspiration for me to know that music and drumming has no age limit for those who are interested and who loves to play especially the drums. Looks like we share the same passion for drumming and I’ve been getting back to playing since I’ve been gone for a while. Please check out my website http://www.raymondselda.com/ Its also a blog about drumming and web development. You can share my site if you find it interesting. Thanks and Rock On! Keep in touch.